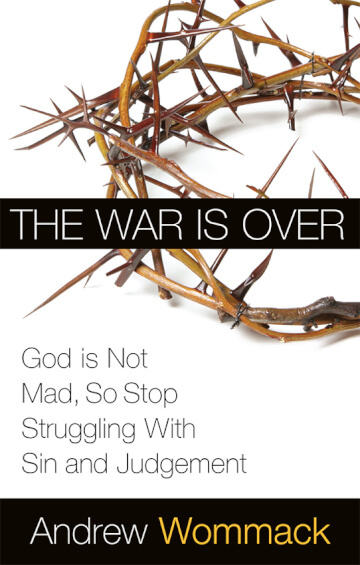 Paperback book God's Not Mad, So Stop Struggling with Sin and Judgement! The longest conflict in history lasted 4000 years and ended in a decisive victory nearly 2000 years ago. Still, many have not yet heard the news and they continue to fight the battle-the battle of sin and judgement. On the cross Jesus said "It is finished", victory was declared, and reconciliation began. It was the victory promised when Jesus was born and the angels declared, "Glory to God in the highest, and on earth peace, good will toward men" (Luke 2:14). Is this saying Jesus came to create peace among men? If it is, then He has most certainly failed. The peace he spoke of was not among men, but between God and man. Sin is no longer the issue; the price has been paid once and for all. God sent His only Son to bare our sin, becoming sin itself, and then judged Him without mercy for that sin. Was His sacrifice enough for you? Is God withholding His blessing because of your sin? If you die with an unconfessed sin, would you be lost? The answers in this book will release you from the condemnation of judgement and fear. It will free you to receive the promised blessings of God!